In 2012, Florian Schirmacher broadened his musical career as an international artist and raised his success to a higher level. He prospers as DJ, singer, composer and owner of the FormResonance Label, which is significant for up-to-date musicians. Schirmacher is one of the most productive musicians, and he allocates manifold success within all his projects — a pinnacle of outstanding diversity. For a decade, Florian Schirmacher has released evident tracks to the electronic scene, but his success with the band Noze brought him to the Top 50 of the common charts in France. Also on heavy rotation this year were his tracks from internationally-renowned films like “Berlin Calling” and “Bar25 – Days Out of Time”. Contributing frequently with Wareika, Florian’s music proves that electronic music is becoming increasingly popular. Global players such as Perlon with the “Pony Slay Station” album by Pantytec and Poker Flat’s succesful debut of the “Silver Surfer” album by Glowing Glisses, Schirmacher still continues his label collaborations with an upcoming DJ mix on Poker Flat and the album “Harmony Park” on Perlon, the latter of which is already sold out. To-date, Florian has released 613 tracks and 189 singles/albums as author and co-author (Beatport). 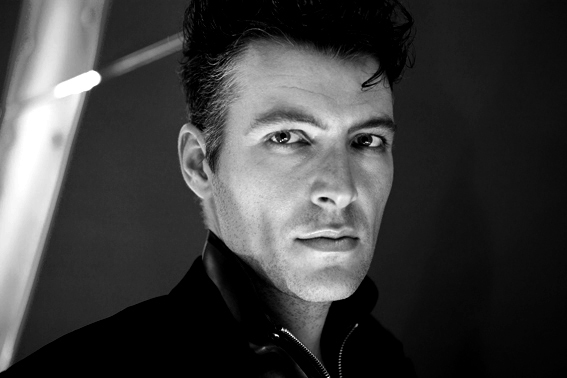 Florian’s career is sprinkled with highlights such as “Let Freedom Ring (Remix)” (Federleicht), which has been chosen as one of ten essential electronic music tracks from the past decade; “Too Late to Land” on the 50th Jubilee release of Cocoon Recordings; “Nora P” (Cadenza); the Ricardo Villalobos Remix of “Kings Child”; or “Exodus” (Noze), where he also took the role of video producer. The most-exceptional reality is that these pearls evolved from different constellations, underlining Schirmacher’s strong teamwork attitude. Schirmacher’s band Hatikvah contributed a track for the 20th anniversary of England’s legendary electronic label, Soma Quality Recordings, where they also partnered to release their Syncronicity album last year. Wareika — the most popular of Florian’s imprints — toured through the reaches of Siberia, South America, and North Africa, to name a few… and they already have an album release scheduled for early 2013. As a DJ, Schirmacher is questioned more and more due to his essential vibe and is additionally driven by his expressive and mesmerizing voice. Schirmacher’s label FormResonance converges audio and visual in its releases and in the club. It stands strongly for audio-visual culture to be the sound of the future. FormResonance is an international family which sets a new benchmark for single and album format, CD, vinyl and digital. Florian focuses on each artist’s development — whether he’s progressing with Moscow band Wunderblock, Oculus from Island, or Toby Gale from London, who is Grammy-nominated for Best Music Video after his debut FormResonance release. Label nights are special events for worldwide clubs and festivals where all FormResonance Artists are represented, including Rts fm Showcase in Russia, ADE Showcase in Amsterdam and the monthly residency at Ritter Butzke in Berlin. FormResonance is distributed via wordandsound.com, one of the most important distributors of electronic music. Schirmacher also holds a monthly residency at Salon zur Wilden Renate, Berlin with his “Kiss Me Kate” event. Florian is an artist of his own format. Listeners instantly grasp his magnetic, out-of-the-box perspective, knowing they are guaranteed a constant focus on quality. Just as his DJ sets are propulsive and energetic, Florian sets new standards in production. Year-to-date bookings comprised 75 gigs, circling Earth three times by traveling 132,000km. Schirmacher’s complete discography can be found on iTunes, Amazon, Beatport and wordandsound.com.